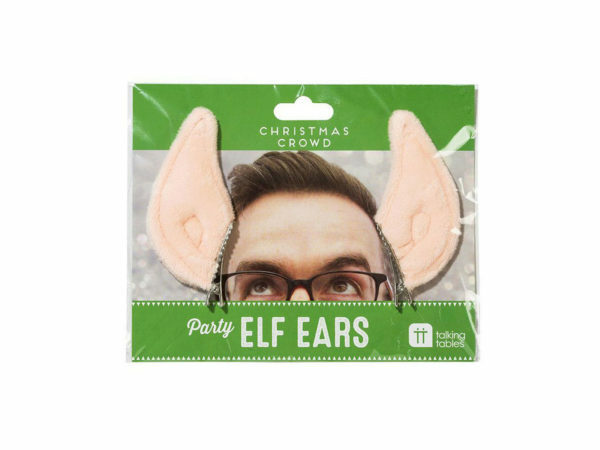 Unleash your inner "elf" with this Christmas Party Elf Ears by Talking Tables. Take elf-selfies with family and friends. The ears are super soft and easy to put on. Simply clip the ears on your hair for a festive Christmas event. The elf ears are 4.25" x 2" in size. Perfect for an elf-tastic Christmas. It comes packaged in a 7.75" x 6" hanging poly bag with a panel.